Wonder Woman is the only female hero that springs to mind that commands respect. With other female characters, its “Oo Power Girl… you look breas— rested. rested!” or “Hey Supergirl, you know your just riding on your cousin’s curtails, or, in this instance, cape?”. But with Princess Di? She is the embodiment of feminism and used as an icon in women’s rights worldwide. And she’s got a pair o’ legs on her too. Her significance in the grande scope of things (comics, film, mythos) is truly paramount to Superman, both being born in that Action & Adventure / War Comic era. So her representation is a pretty big deal. Wonder Woman’s image has not been dedicated to live action film since the 70’s. But after seeing the press release photos of Gal Gadot in the Wonder Woman getup, it pretty much has one feeling like we are viewing some very professional cosplay as opposed to the Amazonian Princess. Hint: the costume isn’t what we have a problem with. So what’s the problem? 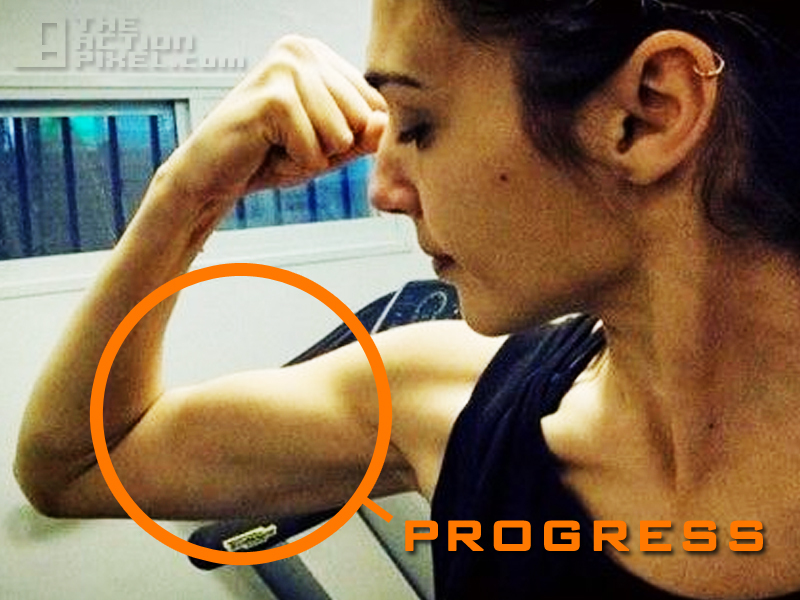 First impressions: Gal does not have a feminist bone in her body. I’m not saying she has to be some ball-busting man-hater. Neither am I saying man-hating and ball-busting is what a feminist is all about. But there is something about a woman with strong ideals that radiates though her very character. A certain intensity in the eyes. But mostly, a physique that doesn’t scream ‘runway model’. There are so many women, some in acting and/or sport that could take that tiara and rock it with much better finesse. Wonder Woman should project confidence, a sultry sexiness and a strong presence, both of physicality and character. Gal, physically, is sadly ticking all the wrong boxes. Yes, her character is stronger than any normal man. And even though that is a ‘superpower’, at the very least I should not feel totally comfortable challenging the woman who’ll play Wonder Woman to arm wrestling match . With those skinny, chicken foot wrists (I have the same wrists myself, but I have been going to the gym :)).